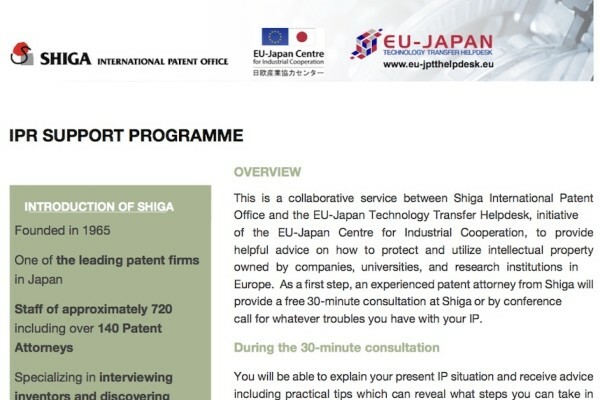 1 – The EU-Japan Technology Transfer Helpdesk offers a pro bono consultation on IPRs in conjunction with top law firms in the EU and Japan. 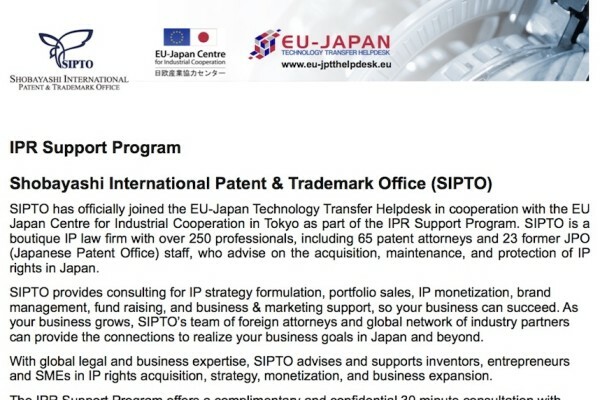 If you are interested in joining the program as IP/Law firm, feel free to contact us. 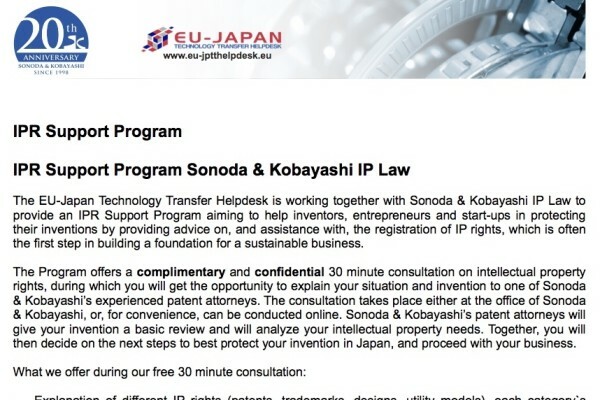 2 – The EU-Japan Technology Transfer Helpdesk offers a pro bono consultation on privacy-related matters in conjunction with top firms in the EU and Japan. If you are interested in joining the program as a service provider, feel free to contact us.